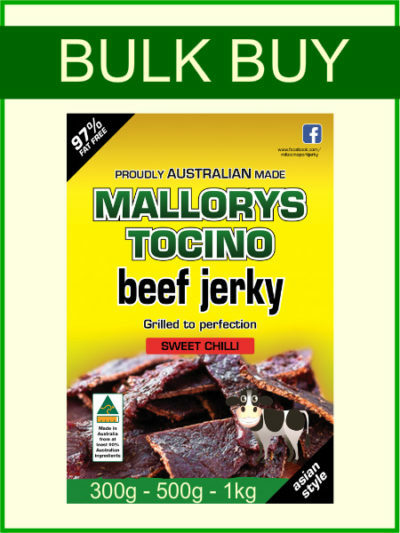 Sweet Chilli Beef Jerky is certainly not hot! 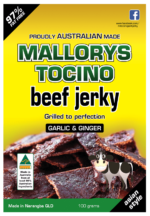 This beef jerky has a tangy taste and makes an ideal healthy snack. Great for a protein snack before or after gym. 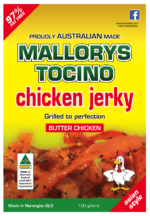 Available in 300g, 500g and 1kg packs. Make your selection below.